Enter your email address to subscribe to FOH and receive new posts by email. 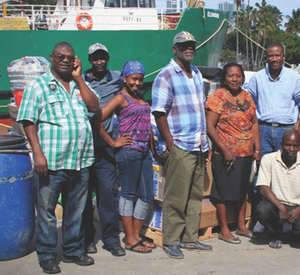 Friends of Humanity was formed in response to the desperate need in northwest Haiti. Chartered as a nonprofit 501(c)(3) charitable organization, we are working in the region to transform despair into hope and desolation into dignity. 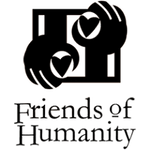 Friends of Humanity is directly involved in this work and visits Haiti frequently to identify needs, provide personal oversight, and supply the priceless hugs no money can buy. Volunteers are always needed in Miami to collect, sort, and package donations. Volunteers, especially those with skills in the building and medical professionals, are needed in Haiti. If you or your organization is interested in supporting our efforts, please contact Kathleen Monahan using our contact us form. We are grateful to our benefactors, who support our major initiatives in northwest Haiti and help us do the most good for the children of House of Hope. We gratefully acknowledge Sandra and Victor Fuller and the Fuller Family Foundation for their belief in this mission and for leading with a very generous donation. We gratefully acknowledge Eli and Edy Broad and the Broad Foundation for their generous support of our work. We thank Connie and John Cioffi and the Cioffi Foundation for their generosity. Thank you to Neiman Marcus for their support at our recent fundraising event. Read more about it under News and Events. Thank you to Mr. George Wilson for generously donating $1,000 and 100 bags of black beans to feed the children of House of Hope. We thank Ms. Madana who continues to donate large amounts of food each month for House of Hope orphanage. We are grateful to Ken and Judy Langner of Lake Stevens, WA for pledging a donation of $600 a year for three years. We would also like to recognize Ms. Madana, who contributes hundreds of pounds of food each month to feed the children of House of Hope. Without her, many children would go hungry. Officer Keith of the Miami Shores Police Department donated 30 boxes of clothing and supplies. Heidi Hewes Cancer Association often contributes medicines, home care equipment, and medical equipment that can be shipped. We are extremely grateful for the donation of brand new commercial washers and dryers from a laundromat owner. This donation means laundry for the hospital and orphanage no longer has to be done by hand. We would like to thank Tina Cornely and her nonprofit, Bridging Humanity, for collecting diapers and goods for House of Hope. Thank you to Krystal Speeler for her donation of $600 to provide essential needs We would like to thank the Rotary Club of Miami Shores for their ongoing support. We are grateful to Great HealthWorks for a donation of $500 toward the Sanitation Project. Winston Delawar Photograhy/Suzanne Delawar Studios graciously donate photography as our official photographers at all events. A special thanks to Paul Morris of Morphoto, Inc.
© 2019 Friends of Humanity 4 Haiti. All Rights Reserved.